VO Legend and presenter Randy Thomas with MacMyDay’s Tommy Grafman. 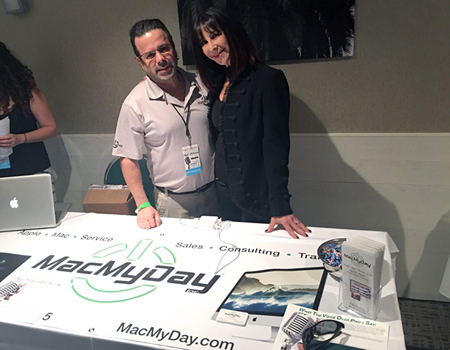 MacMyDay was recently at the Randy Thomas Presents VO Mastery seminar in Studio City, CA. We were there as a vender to help and answer any Mac and all questions and technical help for the seminar attendees. 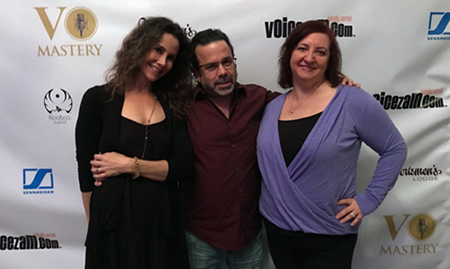 This amazing event was presented and hosted by the legendary Voice Actress, Live Announcer and Author (and the first MacMyDay client) Randy Thomas. For those of you who don’t know, VO stands for Voice Over. Voice Over actors are the people you hear in every medium… Live announcing, Radio, TV, Animation, Internet, Games, etc. At the Randy Thomas Presents VO Mastery seminar during the James Arnold Taylor presentation. The VO Mastery seminar is where the top VO pro’s shared tips and techniques about Voice Over. Some of the pro’s included Debi Derryberry, James Arnold Taylor, Jess Harnell, Melissa Disney, E.G. Daily and more. Not only did the pros share and do great live VO demonstrations, but also the seminar discussed the business aspects of the industry too, from pitching, working with agents, recording, coaching and production. The VO Mastery seminar packed an amazing amount of fun, excitement and education in one seminar, also including how to build your career in the VO business, developing yourself, character development and animation, live announcing. There was also a great panel discussion with the pro’s and a Q&A session. All the attendees learned and were informed and received a great education about the VO industry. The seminar was capped off with a fantastic cocktail party and live music (with a lot of the attending VO pro’s)! 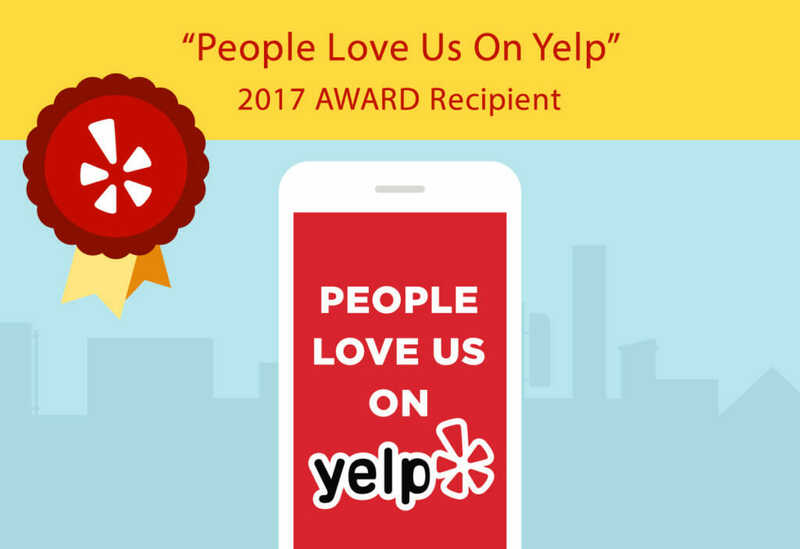 We can’t wait for next VO Mastery seminar! PreviousFosterFurkids.com from the heart	NextApple posts all-time record quarterly revenue of $78.4 billion!